Home » Blog » Dental Implants: Just like Real Teeth? Almost! Dental Implants: Just like Real Teeth? Almost! 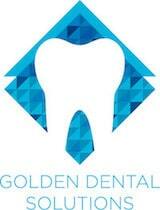 We speak with many patients in our Golden, CO dental office who are interested in dental implants. This method of restoring oral structure extends beyond the capabilities of dentures and standard bridgework by reinstating proper root form. Our natural teeth do a lot of work – and they get the bulk of appreciation for it. However, were they not stabilized in the jawbone by roots, teeth would be of no use whatsoever. It is with this in mind that dental implants, tiny titanium posts, have become an appealing alternative to other reconstructive treatments. One of the advantages of dental implant treatment is that the results feel natural. They look natural. The function is restored to such as high degree that it is unlikely that patients will feel much of a difference from their organic oral structure. But there could be a downside to all this natural look and feel. Just like the teeth you were born with could deteriorate and fail, so can implants. It is important to recognize this risk so you can manage the longevity of your newly rebuilt smile. No smoking! The lack of oxygenation to oral mucosa that occurs in the smoker’s mouth is a leading cause of deterioration, gum disease, and inflammation. Smokers are more likely to experience tooth loss and are at a significantly higher risk for implant failure. Brush twice a day. You’ve heard this for most of your life, and the need for good brushing habits does not end even if all of your natural teeth have been replaced with inorganic dental ceramics. There are thousands of micro-organisms in the mouth, and they need to be removed routinely to prevent disease. If there are spaces between your artificial teeth and natural teeth, flossing is crucial to plaque prevention. If you have a fixed, full-arch bridge, your dentist will recommend the best oral care practices; flossing may not be one of them. See your dentist. Again, even if you have no organic teeth left in your mouth, dental care is important. This is because your gums and underlying connective tissues can still be harmed by oral bacteria. If they become weak, your implants could fail. Dental implant treatment restores the look and feels and function of natural teeth. It even requires that you continue your best oral care habits! To learn more about dental implants, call (303) 277-9600.